Marc Jimenez, Jesuit 2015 OG is in the best place he can think of. 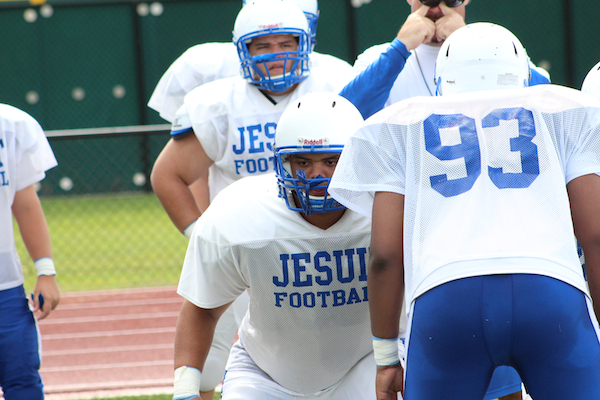 He is slotted as a starting guard for the Jesuit Tigers this year. 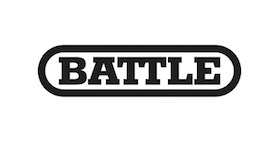 Starting for a team that will be picked as one of the favorites in their district. As a sophomore, he has so much to learn and his potential is through the roof. The Jesuit coaching staff is super excited about what the future holds for the young offensive lineman. At the same time Jimenez knows that he is super lucky to be squashed between two BCS college football commits, Cameron Ruff and Robbie Garcia. Both are University of South Florida commits and are two of the very best offensive linemen in the county. 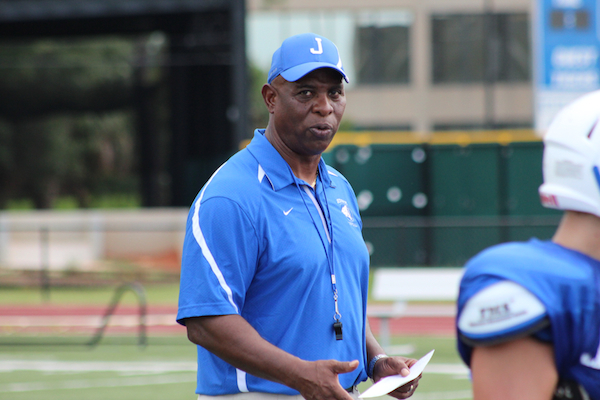 Watch Jimenez work and hear him speak on his personal goals and expectations for Jesuit 2012 football.